has a long and very strong history of involvement in Mission. Mission has been integral to our journey since the very beginning. Agencies that are under the MSMT umbrella include: Board of Church & Society, Criminal Justice and Mercy Ministries, Circle of Care, Cookson Hills Center, Neighborhood Services Organization, Oklahoma UM Retirement Facilities, Restore Hope Ministries, Skyline Urban Ministry, Office of Mission (Volunteers in Mission, Disaster Response, Project Transformation), Young People’s Ministry, Christian Unity and Interreligious Relations, and Woodworth Estate Committee. Circle of Care provides Christian help, healing, and hope to children and families in crisis to ensure a safe, healthy, and spiritual future. Restore Hope Ministries help homeless or people in financial crisis in the Tulsa area through their food pantry and housing assistance. Cookson Hills Center, which serves the poor in eastern Oklahoma. Cookson Hills serves seniors, provides daycare, and operates cottage industries that provide jobs and create income. The mission has a pack-and-snack program that provides food to children over the weekends. Karen Distefano introduced George Howard, GBGM’s general secretary of Global Coaching and Strategic Initiatives. 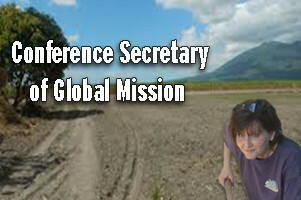 Howard thanked the conference for its support and dedication to mission work. Pat Hoerth spoke of our responsibility to save our planet by our actions in our daily lives and addressing environmental changes, global warming and climate change. Learn more at their Facebook group. Residents at Epworth Villa develop intergenerational relationships by welcoming student visitors and have community partnerships with area infant/children’s programs. Oklahoma Methodist Manor serves over 400 people in that retirement living community in Tulsa. The Office of Christian Unity and Interreligious Relations falls directly under the Council of Bishops. 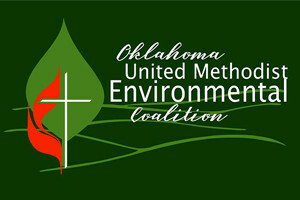 We are happy to have a long and strong history in Oklahoma with the Oklahoma Conference of Churches, Tulsa Metropolitan Ministries, and other groups that are involved both ecumenically and in interfaith work. 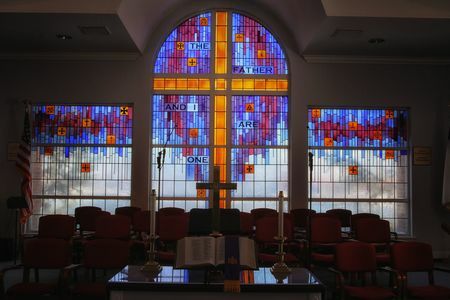 Woodworth Estate helps people recover from disasters in their communities.The W.W. & Rose Woodworth Estate was established in the 1950s to provide ethnic minority scholarships and support the work of missions by Oklahoma United Methodists both at home and abroad. Every year the financial legacy left by the Woodworths funds mission projects and scholarships for students, including several at Lydia Patterson Institute, El Paso, Texas, as well as Lydia Patterson graduates who attend Oklahoma City University. This year the Woodworth Estate Committee approved funds for the first Volunteers In Mission team from Oklahoma to work with Syrian refugees in Jordan.